It’s happening, folks! 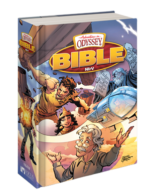 Just in time for the 30th birthday of Adventures in Odyssey, a new Bible is set to hit bookstore shelves and online retailers this summer. Get your hands on your copy this summer, available in hardcover or Italian Leatherette. Members of the Adventures in Odyssey Club can now see an early preview of what’s inside and will have a chance to pre-order at a members-only price in July. 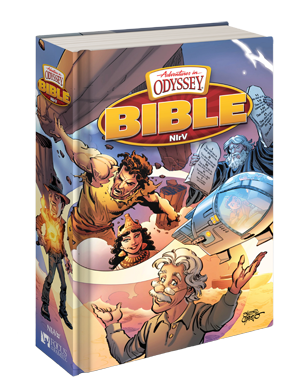 It’s interesting to note that the Odyssey team hasn’t released an Adventures in Odyssey Bible since 2000… 17 years ago! Before that, the first edition was released in 1996! No doubt this new version will ultimately become a great collector’s item down the road. You can learn more about the Adventures in Odyssey Bible here. Will you be reserving your copy? Sound off in the comments below!